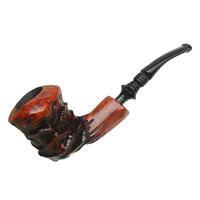 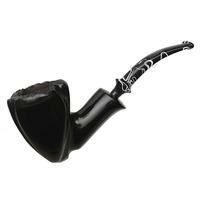 If you're in the market for a Danish fancy briar sporting a rather floral aesthetic in profile, but also need said briar to be an ebony-finished dress pipe, you may be hunting for a while. 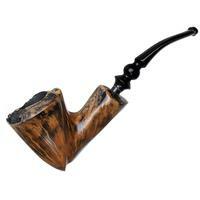 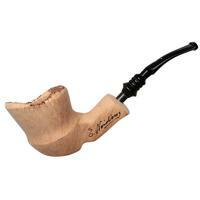 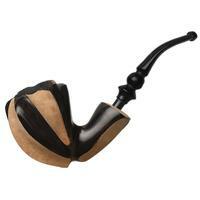 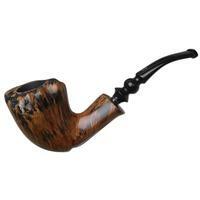 Better said: if not for this Nording bent Dublin, you'd be hunting for a while. 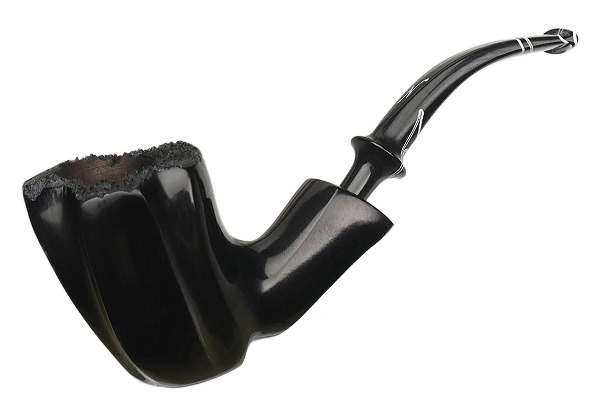 Thankfully, it's here for you. 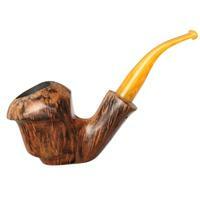 Bowl Height: 2.52 in./64.01 mm. 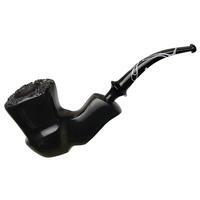 Chamber Diameter: 0.95 in./24.13 mm. 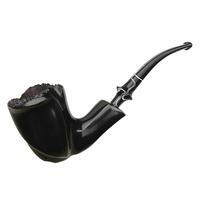 Outside Diameter: 1.83 in./46.48 mm.